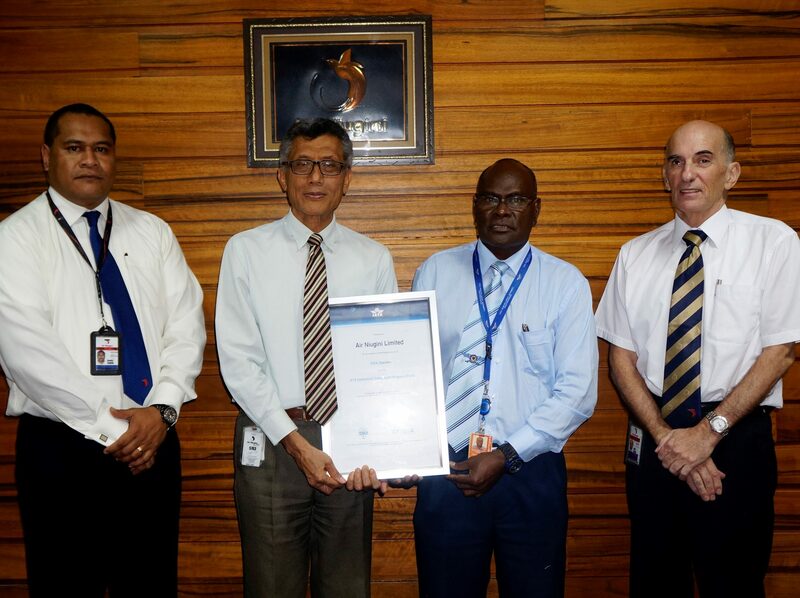 Air Niugini has been certified with an International Air Transport Association’s (IATA) Operational Safety Audit(IOSA) certificate after successfully passing the program last month. The IATA Operational Safety Audit Program (IOSA) is an international evaluation system designed to assess the operational and control systems of an airline, so as to ensure the safety and quality of the airline. Air Niugini is the only IATA IOSA certified PNG airline operating in the country. Chief Executive Officer, Mr Simon Foo shared the certificate with Civil Aviation Safety Authority-PNG, Director Mr Wilson Sagati, OBE in Port Moresby today(Friday 20th Nov). Mr Foo said the certificate is in recognition of Air Niugini Limited having an Operational Safety System which meets the highest level specified and recognized by IATA. Mr Foo also acknowledged the extensive role played by CASA PNG and its staff in helping Air Niugini over the years to obtain the highest level of Operational Safety Standard as recognized by IATA. Mr Foo concluded that safety continues to be a paramount importance in the operations of Air Niugini as the airline continues to be the premier airline serving Papua New Guinea and strives to deliver safe, reliable, cost effective air services whilst exceeding the expectations of its customers and stakeholders.